Themes: community, gardening, chickens, urban life, friendship, sharing. Pud had a friend over the other afternoon for a play. Deciding what to do next, Pud jumped up and exclaimed: “Let’s go look at my chickens! 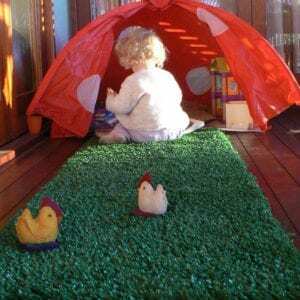 We are immensely proud of our chickens!” I let it go, but thought it was a bit rich, given she spends most afternoons screaming at the chickens to get out of her sandpit, off her swing, or out of her cubby. I love that PudStar uses lines she has heard in books…even when I don’t necessarily agree (immensely proud? She mostly seems to detest the chickens). Reading children’s books with children is an incredibly powerful way to increase vocabulary and develop language skills. Beautifully written and illustrated picture books contain sophisticated language and ideas. High quality children’s books are perfectly pitched at their audience and never speak down to children. 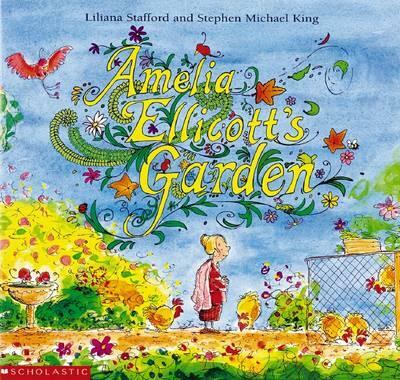 ‘Amelia Ellicot’s Garden’ is a perfect example of what makes a high quality picture book. The author’s text is rich with description, unfamiliar words and names (Amelia’s cat is called Mustafah…much better name than Kitty), and the story is one of community, multiculturalism, diversity and friendship in an urban setting. The illustrations by the award winning Stephen Michael King are beautiful, detailed and worthy of spending hours being poured over. Stephen is also my favourite chicken illustrator – and I love a good chook illustration. The interaction between text and illustrations in Amelia is spot on. Amelia Ellicott has lived in Sampson Street for a very long time. Her family used to own most of the street but now it is just Amelia and her cat Mustafah, living alone and sometimes lonely (just for a second) in number fifty-six. Amelia doesn’t talk to her neighbours in the big block of flats next door. Unbeknownst to Amelia, many of these neighbours (mostly immigrants) are looking wistfully at her garden and dreaming of their own gardens back home. Nature intervenes in this scene of urban life, uprooting garden, prized chickens and Amelia herself. What follows is a tale of community, friendship…and fences around houses, gardens and hearts that don’t need rebuilding. I have been reading this book to early childhood classes for countless years now, and I still have to be brave and not tear up …it gets me every time with it’s lovely story of the importance of community in people lives. Amelia had neighbours close by yet she was alone. Why was she alone? Was she lonely? Use the words and the illustrations to find evidence of how Amelia feels. Was Amelia happier when she met her neighbours? Use the words and illustrations to explain how you know she was happier. Were Amelia’s neighbours happier to know Amelia? Construct a timeline of events, or a story map to record the sequence of the story. Create a picture or collage of Sampson Street and include all the people who live there and their houses or their flat. Write some words to describe each person. My Street! Do you know the people in your street? Draw your house, and your garden if you have one. Next draw your neighbour’s house and all the houses in your street. Can you label the houses with your neighbour’s names? 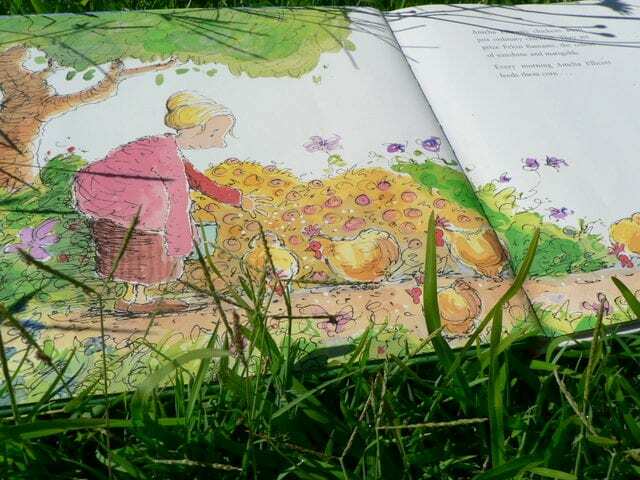 Look closely at the illustrations of Amelia Ellicot’s lovely garden. Do you recognize any of the plants? Do you have some of the same flowers, trees, vegetables and shrubs in your own garden, or a neighbours garden? As a class write a list of all the plants you can see in the garden. Create a collage of Amelia’s garden. Look closely at the illustrations to decide what plants to include in your collage. 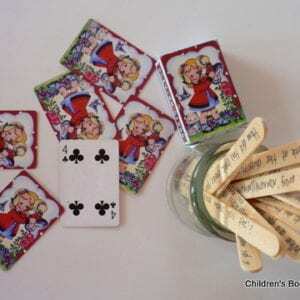 Use your class list of garden plant words and label the plants in your collaged garden. With a partner, investigate further one of the plants that you have identified in Amelia’s garden, or plants in your home or school garden. Use a book from the library about plants, an encyclopaedia or the internet. Plant and care for some flowers or vegetables. Grow some from seed, grow some from cuttings from neighbours (sharing plants) and some from seedlings from the nursery. There are so many ways to grow a garden! 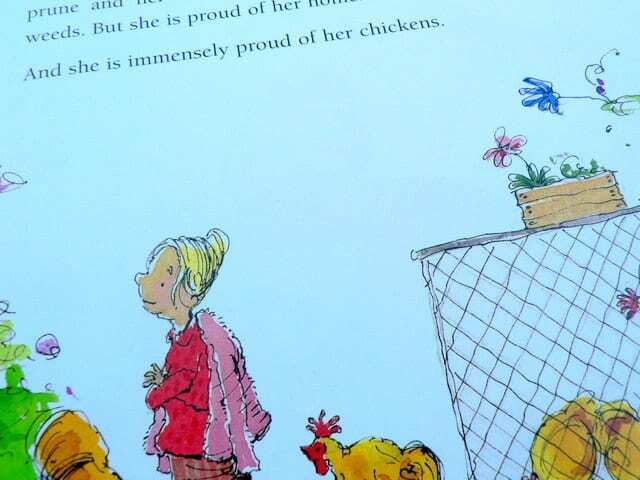 Investigate the types of chickens that Amelia owned using a book from your library. Thank you for this engaging post Megan and the wonderful follow up activities. I just love the quote from Pudstar, aren’t kids precious! This was a wonderful book to work on and publish under the Margaret Hamilton Books imprint. I have a couple of Stephen Michael King’s original illustrations plus quite a few working drawings, which I would be happy to show anyone interested who visits me at Pinerolo. 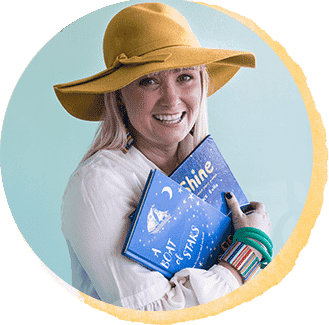 Megan – what a fantastic blog – I could spend all day reading your reviews. Your tips and comments are so spot on. I would love to attend any more library sessions you are doing. Wow is all I can say !!! Oh that’s lovely feedback! You’ve made my day! And I put your details in our school newsletter – love your work!